When it comes to ecommerce, OSI affiliate software is a great alternative to Leaddyno. OSI affiliate software has what you need to keep your brand at a high level by offering to work with your brand initiatives, giving you a great program to help you sustain a long business, and providing a simple software structure. Here’s a brief rundown of what this software can do for your business. ​Since 2000, OSI affiliate software has set to provide web-based solutions to everyone from Fortune 500 and small businesses. They wanted to make managing multiple affiliate counts easier by putting it under one uniform database. Everyone on their staff looks to help different companies in creating a quality admin dashboard to help build their affiliate program. They have a key goal when it comes to each user’s experience - make them successful. ​The goal is to make it easy for an affiliate user to become successful in their program, because their victory is a win for OSI. They understand that not everyone knows the ins and outs or has the time to create complex coding understands the ins and outs of code. You don’t have to be a tech wizard with a computer science degree to be an ace with this program. Omnistar also looks at the customer feedback in order to improve what needs to be done to make everything run much more efficiently. In fact, here are some of the key features of this affiliate software. 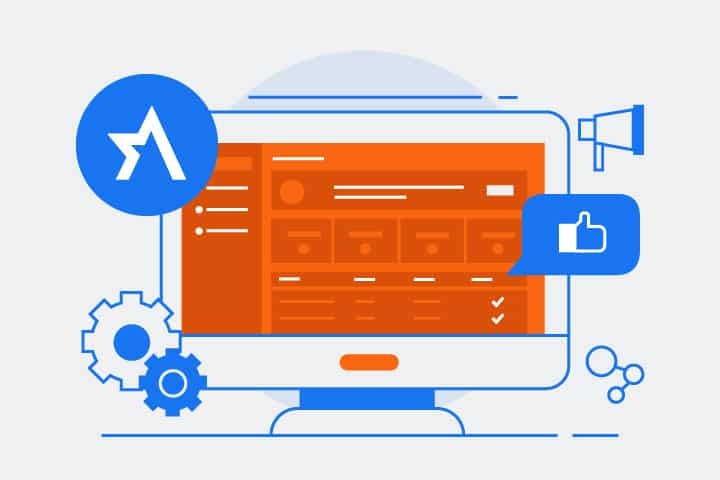 ​It’s the simple and direct approach to software that has allowed OSI Affiliate to create solid features to attract more interactivity with your customers and affiliates. 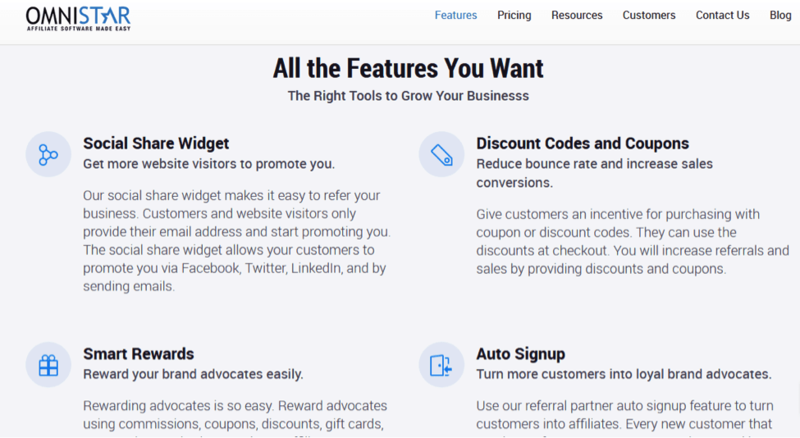 Their social share widgets makes it easier for affiliates to promote your site through Twitter, Facebook, LinkedIn, and email. Discount codes give your customers better incentives so you can get more sales. This is an opportunity to show your supporters that you care and value their work. You have a choice of gift cards, discount codes, or any other reward you feel they deserve. Help build the relationship between you and your customer. It’ll be a longer lasting relationship because they turn into supporters. There’s nothing like a great contest to help light the fire behind your affiliates. Provide an incentive for them going the extra mile. Get creative with your ideas such as: a prize package for a trip out of country, a higher commission or cash reward, or gift card. It’s a good way to tell who actually performs for your business, or doesn’t really meet with your expectations. .
You have unlimited email templates to help you come up with different options for your demographics. This will keep fresh content available so that you’ll have variety with delivering your message to help you gain more traffic and clicks through your email marketing. Feedback, bad or good, is essential to long-term growth. Find out the things you are doing right and what you are doing wrong so that you can focus on providing the best service for your clientele. It’s important to strategize and see what popups and forms perform the best. Find out what popups and forms cater to specific demographics. Measure the amount of clicks and time stayed on the these setups. This way you’ll build more stability and decrease the bounce rate. Partnering up with different brands can help you both succeed in your long-term goals. Help desk support is available 24/7. If you prefer a phone chat, the schedule is as follows: 10am-7pm on Monday to Friday. Live chat is a great option to help you get assistance right within your dashboard. Take a look at the pricing that’s offered for the service. Basic - $47.00/month gives you the following: 20,000 tracking requests; 200 affiliate users; free setup; use your domain; directory listing; no transaction fees. Professional - $97.00/month allows the following: 500,000 tracking requests; 1000 affiliate users; free setup; use your domain; directory listing; no transaction fees; exit intent popups; timed popups; opt-in forms; customizable thank you pages. Premium - 1 million tracking; 5,000 affiliate users; free setup; use your domain, directory listing; no transaction fees; exit intent popups; timed popups; opt-in forms; customizable thank you pages. The great thing is you don’t have to pay an arm and a leg for great service. There’s a reason why different online stores want to integrate with this brand. What Makes OSI Affiliate Software Great for Store Integrations? Before you pick an affiliate program you should ask yourself a few questions. Are you promoting a product to have like-minded people involved. Do you want to be fully independent or do you need an established company to help you make that next step? These are a few things that you should consider. A good option is going with OSI affiliate software. Why? Well, you can integrate your core audience on a more powerful platform. You don’t have to deal with all this separate software because you can manage everything through their database. This way you’ll be able to create contests and give rewards to your top-notch support leaders, stay interactive with your core audience, and save time on some of the smaller aspects of your business. Not to mention, you won’t have to hire some expensive IT person for extensive coding. The process is easy to do and only takes a few moments. However, there’s someone on the OSI staff who will do this service for you FREE of charge! With all of these features to help you stay ahead of the game, a supportive staff, and a fair price, you’ll create a great long-lasting online brand.